Recently, indirect microwave curing technology was developed to process multidirectional carbon fiber reinforced composite materials with high efficient and energy saving purpose. The aim of this paper is to solve the problem of large mid-plane heat generation in manufacturing this kind of materials with large thickness. The difference between the traditional thermal curing and indirect microwave curing processes was analyzed. 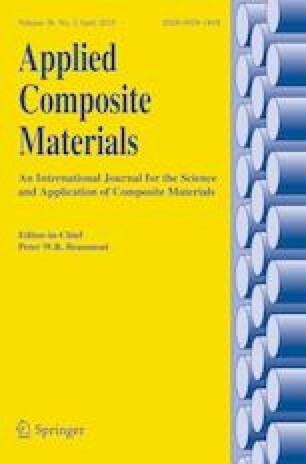 A Multiphysics model was constructed to reflect the composite curing behavior in a cost-effective manner, which agreed well with the experimental results. On this basis, a new indirect microwave curing cycle was designed, and relevant process parameters were determined. Compared with the manufacturer’s recommended cycle, the degree of mid-plane heat generation was greatly relieved, and a reduction of 34.6% in composite residual strains was achieved. Moreover, the curing cycle was reduced by 38%, while the interlaminar shear strength of the composite was improved by 1.38 times. Corresponding reinforcement mechanisms were explored through the observation of composite cross-sections with optical microscopes. This work was supported by National Natural Science Foundation of China (Grant no. 51575275); and the Postgraduate Research & Practice Innovation Program of Jiangsu Province (Grant no. KYCX17_0282). The authors sincerely appreciate the continuous support provided by our industrial collaborators.